2012-12-28 — /travelprnews.com/ — As the curtain comes down on a spectacular year, VisitBritain looks ahead to 2013, identifying moments and events which can once again capture the imagination of a global audience. The national tourism agency predicts the volume of international tourism to Britain will grow by 3% next year, meaning almost one million extra visitors will come to the UK. The 32 million who are forecast to visit could spend around £19 billion while here, a record figure representing annual growth of 2.5%. Patricia Yates, Director of Strategy & Communications at VisitBritain said: “While 2012 had the Diamond Jubilee celebrations and the London 2012 Games, next year will offer visitors a broader taste of what makes Britain one of the most visited destinations in the world. 1) Year of Natural Scotland – Events taking place throughout the year to highlight Scotland’s natural beauty. Scotland’s natural environment is the number one reason why people visit, and there’s no better time than 2013 to find out why. The Highlands were also featured in the new 007 blockbuster Skyfall. 2) 150 years of the London Underground – The first passenger trip will be recreated with steam trains, an exhibition of iconic posters will be shown at the London Transport Museum, and disused stations will be used for theatre and film screenings. 3) 200th anniversary of Jane Austen’s Pride and Prejudice – Pride and Prejudice is one of the world’s best-loved books. Britain is a must-visit for Austen fans, who can explore her house in Chawton, Hampshire – now a museum – as well as the Regency city of Bath where she also lived and wrote. 4) Derry UK City of Culture – Lonely Planet has named it one of the top five travel destinations in the world for 2013. UK’s first ever City of Culture, making now the perfect time to discover one of the UK’s hidden gem destinations. 5) The view from the Shard opens – 800 feet (244 metres). The tallest building in Western Europe, and the only place to see all of London, all at once. The View from the Shard opens to the public on 1 February, just ahead of Valentine’s Day. 6) 100th Anniversary of the Chelsea Flower Show – 2013 marks the centenary of the Royal Horticultural Society’s Chelsea Flower Show, which has become one of the most celebrated annual events in the world. 7) Wembley to host Champions League Final – 150th year of the Football Association and the seventh time Wembley hosts one of the most prized trophies in football. 8) GREAT British Cheese Festival – Britain’s biggest cheese extravaganza, with over 450 cheeses to tempt visitors, including delights like Lincolnshire Poacher, Red Leicester, Real Wensleydale, Caerphilly, Cheshire and Cashel Blue. Held in the famous Cardiff Castle, the gathering also sees the World Cheese Tossing Finals and cheese skittles take place. 9) Charlie and the Chocolate Factory – new musical-Fresh from directing James Bond’s latest adventure, Skyfall, Sam Mendes will be returning to his roots as a theatre director and taking on another favourite British hero: Willy Wonka. 10) Queen Elizabeth Park opens – opening in phases over the next few years, with the first part – the North Park and Multi Use Arena – open to visitors from 27 July 2013, one year since the Opening Ceremony. 11) Glastonbury returns – after a break in 2012, the iconic music festival is back in 2013 with a bang! Rumours abound on who the headline acts will be, with event organisers using Twitter to gauge who fans want to see. Whoever they are, it will still mean three days of fun with hundreds of acts playing across dozens of stages amidst the rolling fields of Somerset. 12) David Bowie exhibition at V&A – Discover and explore this retrospective of the extraordinary career of David Bowie, a musical and cultural icon across five decades. 13) Royal Baby celebrations – Although more of a private affair compared to the Royal Wedding and Queen’s Diamond Jubilee, the new addition to the Royal family allows us to celebrate our rich heritage and highlight what families can enjoy on any visit here. 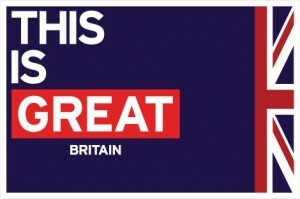 Our priority is to deliver a four-year match-funded global marketing programme which takes advantage of the unique opportunity of the Royal Wedding, the Queen’s Diamond Jubilee and the London 2012 Games. Our objective is to showcase Britain and attract new visitors from the tourism growth markets of Asia and Latin America and to reinvigorate our appeal in core markets such as the USA, France and Germany. This campaign aims to secure an additional £2 billion in visitor spend. This entry was posted in Attractions, Business, Entertainment, Holidays, Tourism, Travel, Travel Management, Travel Marketing, Travel Services, Travelers. Bookmark the permalink.